Constructed On 2000 Tons Of White Marble, This Temple Has The Idol Of Lord Venkateshwara Which Is Around 11 Feet Tall.A Spectacular View From Hussain Sagar Or Tankbund Road. A Fascinating Collection Of Articles Presented To The Fabulous Vii Nizam Of Hyderabad, Mir Osman Ali Khan, Is Being Put On Public Display. This Was His Wish As It Tells So Much About His Times And About The Achievements Of The People Of Hyderabad. It Also Tells Us A Lot About The Mir Osman Ali Khan Himself. Chowmahalla, Where The Nizams Held Their Durbar And Other Religious And Symbolic Ceremonies Also Hosted Popular Banquets In Honour Of Their Royal Highnesses The Prince And Princess Of Wales In February 1906. The Salarjung Museum Is The Third Largest Museum In India Housing The Biggest One-Man Collections Of Antiques In The World. Charminar Is Most Famous Historical Place Of Hyderabad And Andhra Pradesh. We Can Say There Is Equal Importance Of Charminar As Taj Mahal In Agra And Eiffel Tower In Parries. Even Charminar Is Included In Top 10 Historical Places Of India. It'S English Name Is A Translation Of Two Words "Char" And "Minar" Which Is Four Towers. Mecca Masjid Is One Of The Largest Mosques In India.Muhammad Quli Qutb Shah, The Fifth Ruler Of The Qutb Shahi Dynasty, Commissioned Bricks To Be Made From The Soil Brought From Mecca, The Holiest Site Of Islam, And Used Them In The Construction Of The Central Arch Of The Mosque, Thus Giving The Mosque Its Name. The Nehru Zoological Park In Hyderabad 100 Species Of Birds, Animals And Reptiles Are Housed At The Zoo, Including Indigenous Animals Like The Indian Rhino, Asiatic Lion, Bengal Tiger, Panther, Gaur, Indian Elephant, Slender Loris, Python, As Well As Deer, Antelopes And Birds. 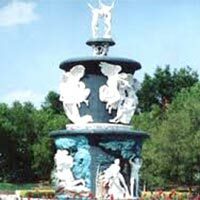 One Of The Most Recent And Glamorous Attractions Of Hyderabad Is The Ntr Garden Which Is Located At Hussainsager Lake.The Sprawling Gardens, Set Up In An Area Of 36 Acres, Offers A Serene Atmosphere And Yet Provides Recreation Facilities Such As Machan Tree, Japanese Garden, Car Café, Souvenir Shops, Fruit Restaurant And Children’S Playing Area. A Mono Rail System Takes Children Around The Garden. It’S An Amusement Park With A Difference…See It To Believe It. The Spectacular Musical Dancing Fountain And Water Cascade Draws Huge Crowds. 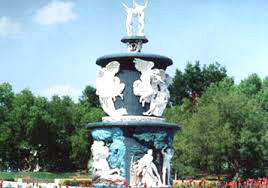 The Fountains Dance To The Tunes Of Popular Numbers From Hindi And Telugu Film Songs. This Is One Of The Must See Sight And Almost The Park Is Crowded With Visitors And Picnickers. Boating Is Another Attraction That Pulls Visitors To This Place. One Can Hire A Paddle Boat And Take It For A Ride In The Lake Next To The Park. This Also Gives An Opportunity To Get Closer To The Lord Buddha Statue Located In The Middle Of The Lake.